Most of my friends with babies, especially those with little girls, have made it clear they want gender neutral baby clothes. Or at least not all hot pink for girls. I’ve got this old car stamp that I haven’t used in a while, as it doesn’t seem to fit on a tablecloth or challah cover (I don’t think). Long ago I used it for a piece that’s still hanging in my mechanic friends garage in Colchester, VT but I can’t find a picture of it. I have fascinating conversations at craft shows about which colors customers consider gender neutral. Rarely does the stamp factor in (although I have been told the ying yang is too hippy for some). Most of my batik stamps are too big for the baby clothes. The other day I was inspired to try my car stamp on a onesie. 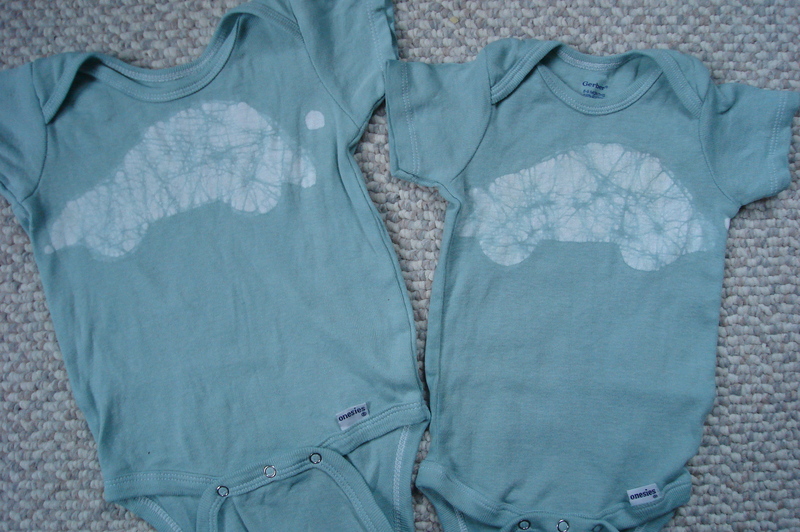 So, baby clothes with cars, are they just for boys? This entry was posted in Uncategorized and tagged clothing. Bookmark the permalink. 2 Responses to Gender neutral? adam is obsessed with cars, trains, almost anything with wheels. my friend’s daughters around the same age seem equally interested in cars as they are in dolls and blocks and toy food. before i had adam, i thought that i’d forgo the gender specific stuff, but darn-it i just can’t escape it. i think that a car on a blue or gray onesie screams BOY, but put it on a pink or yellow onesie and girl friendly it becomes. i think it is more in the color of the onesie rather than what is on the onesie. 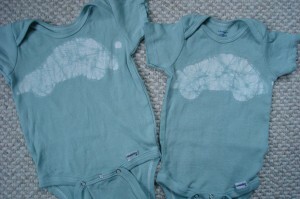 Just did a lavender car onesie- we’ll see….